The RBE – Rotor Blade Extension is a proven product that increases wind turbine efficiency and consists of an additional blade tip segment fixed at the rotor blade tip. RBE can be applied to all kinds of machines, which can bear the load increase deriving from the assembly of a specific RBE. It is considered that a turbine always has load reserves when the IEC (International Electrotechnical Commission) class of the turbine is higher than the IEC class, which characterises the site where the wind farms are set up. This load reserve can be used by the RBE up to the turbine effort limit. The thrust is the axial force applied by the wind on a wind turbine rotor. So, if the RBE installation causes a large increase in rotor thrust, does it ensure the safety of operations? 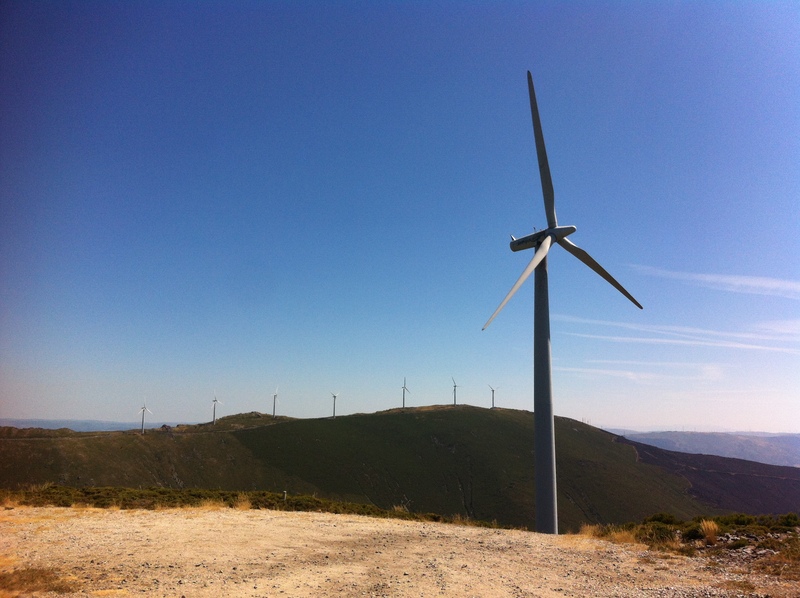 In order to answer these questions, Energiekontor, the company responsible for the RBE project, has performed studies and inspections in order to ensure the safety of operations when the rotor blade extension is installed. It has been proven that RBE extra loads on the WTG are all within the parameters defined for its classification according to the IEC, and, consequently, the lifetime of the modified turbines is not affected. This has been proven through project calculation and a survey conducted on a prototype after 3 years of operation, which showed that the status of gear box as well as the rotor blade and its extension did not have additional wear apart from normal signs of wear and tear. The measurement campaign before and after modifying the rotor blades showed similar data and behaviour of both neighboring turbines, as expected. The technical reports concluded that due to the addition of the RBE, the turbine goes through an increase in rotor thrust, given that the power curve of the turbine is shifted towards lower wind speeds, thus allowing the increase in performance by the turbine. Due to this fact, the maximum wind speed at which the turbine operates (the cut-out speed of the turbine) is decreased, in order to keep the turbine operating within safe parameters. So, the maximum rotor thrust achieved by the turbine remains the same. In summary, due to the natural increase in the rotor thrust, after the application of the RBE, the cut-out wind speed needs to be reduced from 25 m/s to 23 m/s. Therefore, the absolute highest rotor thrust available is limited to the original level. So, the pre-defined safety is ensured. If you would like to improve the energy production of your wind farm using a cost efficient solution, consider the Rotor Blade Extension of Energiekontor. Contact us for more information.